Dawn of War 3 makes an admirable attempt to nudge forward a genre that has struggled in recent years to progress. The addition of Elites offers intriguing and complex challenges for those who are prepared to put in the necessary practice. Relic has obviously thought long and hard about how realtime strategy might best be improved — even if true evolution seems out of the game’s grasp. Some of the game's flaws are significant, including the frustrating meta-game UI and problematic Skulls system. Thankfully, the highly functional gameplay goes a long way toward leading to a positive experience. So, I declare Dawn of War III cleared of all charges of sedition and heresy, but sentence it to a punishment of several lashings for wasting this Inquisitor’s time at key points during the interrogation. Dawn of War 3 is still incredibly good fun. It’s a well-crafted RTS that eschews some of the tired old tropes for a faster pace and a tighter experience. It’s well designed and nicely realised, with a good (if predictable) story and excellent voice acting and it’s got an intriguing and engaging multiplayer which can only bring increased longevity to the series. And it’s still got that 40K thing going on. Overall, then, Dawn of War 3 is a great next chapter in the Dawn of War franchise. The title pulls together the best parts of the last two games into an extremely worthwhile strategy experience, with a well-balanced single player and suitably frantic multiplayer. The title could do with a few tweaks here and there to perfect the experience, but this is one for strategy fans to look to for their next future war fix. 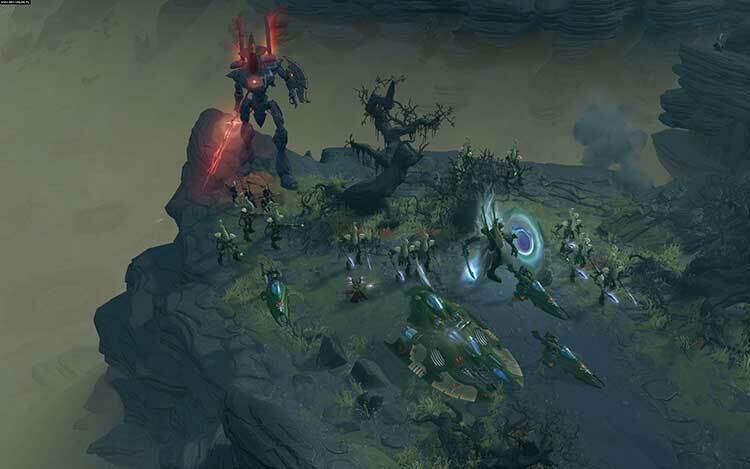 After the pure RTS of Dawn of War and the RPG leanings of Dawn of War II, Relic Entertainment decides to settle in the middle ground with Dawn of War III. 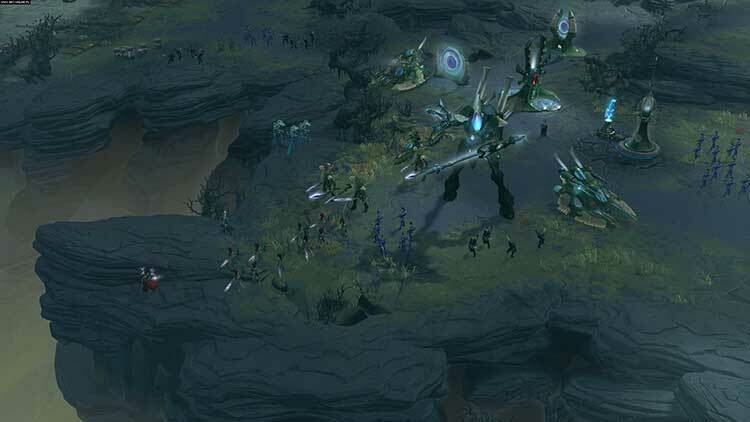 Base-building returns, heroes get an overhaul with Elite units, and combat becomes more aggressive and faster-paced. Dawn of War III is a game that pulls from its past, while taking some elements from modern day gaming to make something new in the franchise. A solid chapter in Dawn of War, the inclusion of minimal MOBA elements only serves to enrich multiplayer gameplay and deepen the strategy. Easy to learn, difficult to master, Dawn of War III is fun without sacrificing the tone of the game world, though maybe breaking a little of the lore. Barring some minor, strange aesthetic choices, this is a powerful foundation for the future of Dawn of War. Parts of the interface don't work sometimes, inter-match army management is half-baked, and the micromanagement needed to use the game's signature hero units effectively doesn't jibe with the extensive base-building you'll need to support them. But those problems fall away when you’re in the heat of battle. Dawn of War III builds and maintains an organic tension that yields huge pay-offs, and there’s nothing else quite like it. Dawn of War III is a mixed bag, featuring a forgettable campaign and enjoyable multiplayer, assuming you are willing to make some compromises to the traditional formula. I’m glad Relic is attempting some new tweaks while maintaining the sanctity of the almost-untouchable legacy of Warhammer 40,000. 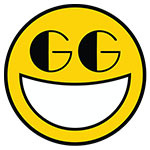 Much of the voice acting is exemplary - the orks and gretchin in particular have plenty of charm and personality although some of the jokes fall a little flat sometimes. 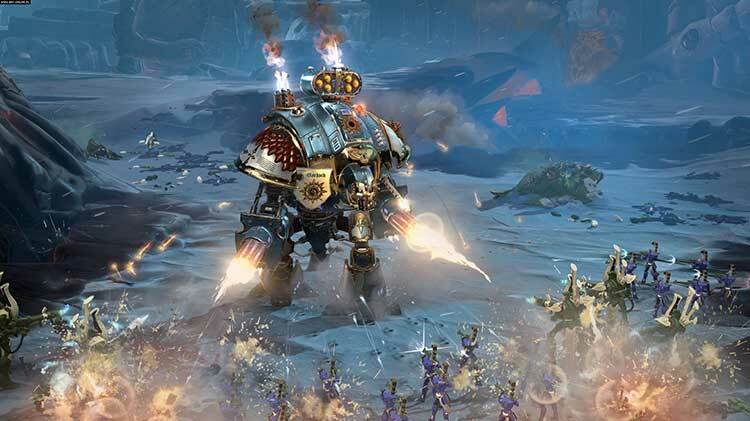 Really, though, with the world awash in new Warhammer games, there's nothing about this latest iteration of what was once the Warhammer 40,000 flagship videogame franchise that we will remember next year. Warhammer 40K: Dawn of War 3 is flashy and loaded with complex, micromanagement-heavy warfare. Its single-player campaign is long and challenging, but feels uninspired because it rarely makes creative use of the three factions’ abilities. In multiplayer it’s even more demanding and intimidatingly chaotic, but with only one mode and not a lot of maps, it seems limited. Relic deserves credit for not simply remaking the same game with prettier graphics, but this hybrid approach doesn’t feel as strong as Dawn of War 2’s memorable tactical focus. Dawn of War III certainly isn’t the type of sequel that fans of the series may have anticipated, albeit it is still a title that is faithful to the Warhammer franchise. However, Relic’s gamble of adapting their franchise in a way that more closely aligns with the popular MOBAs of the day has largely paid off, even if the game does suffer from a bit of an identity crisis in the process. 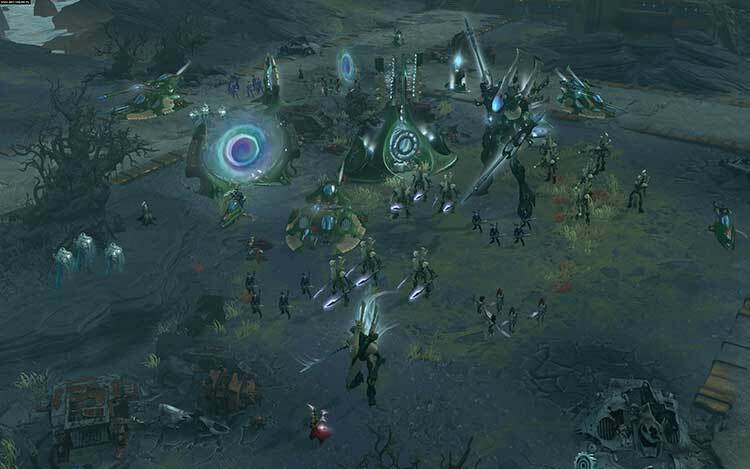 Relic's attempt to bring back the much beloved Dawn of War franchise at times shows glimpses of being a great game, but it removed everything that made it Dawn of War and is now just a run-of-the-mill twitchy RTS game. A new Dawn of War has risen, and it’s an exciting return from a long dormant franchise. 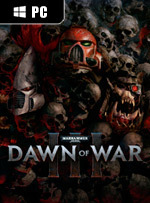 Warhammer 40,000: Dawn of War III successfully takes the best elements from the previous two games and blends them with traditional RTS mechanics to create a game with deep strategic gameplay. The campaign, which ultimately serves as a glorified tutorial, is entertaining and lengthy enough to keep players hooked for hours even though it’s predictable. Dawn of War III is a solid RTS title in its own right. It is a pretty big departure for Relic in terms of mechanics, and that might not sit right with some players. But it hits a lot really great notes. Whether you enjoy it might be a factor of just what it is you love about Relic’s games and about RTS in general, but I can see myself happily playing it for years to come. Warhammer 40,000: Dawn of War III is an enjoyable, challenging and rewarding RTS experience. Not everyone will be enamoured with its MOBA-flavoured gameplay, but there is no denying it makes for some frenetic and action-packed battle goodness much of the time. Warhammer 40,000: Dawn of War III takes a few steps back in time to make one step forward. It hearkens back to a lot of older design choices from the first game, and attempts to build upon other RTS conventions in the process. Not everything works (especially the strict adherence to the core conceit), but it's still very much both a Warhammer and a Dawn of War joint. As the game captures a sense of grand scale, it loses some of the strategic nuance in changes to the cover system, and it’s a disappointment that tried and tested multiplayer modes aren’t included as well. That said, the campaign makes for an enjoyable and challenging romp through yet another crisis in the 40K universe, and while some gameplay elements have been simplified, the three deeply contrasting races offer plenty for players to sink their teeth into online. 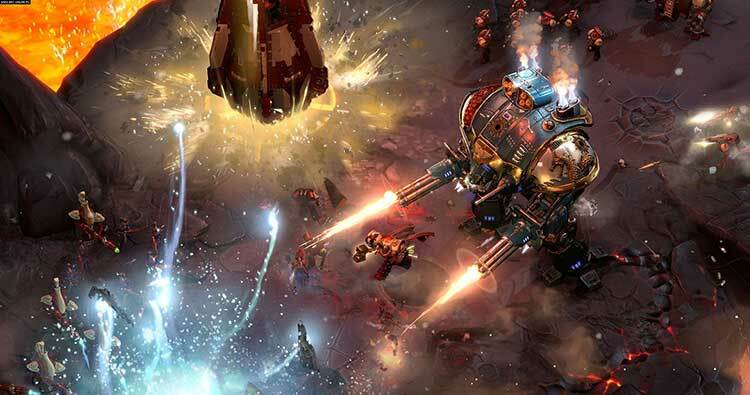 Warhammer 40,000 Dawn Of War 3 is a game that fans of the franchise have been long awaiting. The critically acclaimed and highly successful series is one of the only Warhammer 40k franchises that has consistently produced great games. Dawn of War 3 looks to blend the mechanics of previous games and add a few new ones in, to once again create something new. A fairly solid attempt, the changes to multiplayer bring out a large mix of good and bad responses from me. In the end I believe that they have pushed away from the original DoWs a bit too much. They still need to return to their roots! I am sure they will do it eventually. An inspired mix of genre elements, with some great hero units that completely change the pace and style of battle. Resource gathering and unit caps are balanced together very well. Story campaign is short and largely uninteresting. Questions remain about the balance of elite units, and the user interface could do with being a lot clearer. Dawn of War III is a Storm Shield-solid title carrying a few minor irritations. It can't possibly leave the blast crater its predecessors did, but it's still an absorbing, invigorating, chaotic RTS with the firepower to impress. 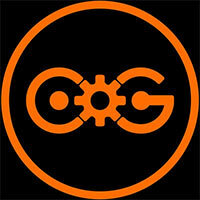 Large scale sci-fi strategy is a genre that will hopefully be here for many years to come. And at its core that’s what Dawn of War III is, and what its campaign and multiplayer highlight – epic sci-fi strategy with armies of varied units fighting against different races in heated and intense battles. Además de la campaña y de las partidas multijugador, Warhammer 40.000: Dawn of War III nos ofrece algunos extras como el pintaejércitos que nos permite decorar a nuestro gusto las unidades de todas las facciones, eligiendo entre una impresionante gama de colores que dejará satisfecho a todo el mundo y que nos dará la sensación de estar pintando nuestras figuras tal y como se hacía (o más bien se hace) con las figuritas de la versión de mesa de Warhammer 40.000 o Fantasy. Los tiempos han cambiado y los jugadores también. Y aunque se intenten añadir guiños a los géneros populares de hoy día (como la adición de las líneas al estilo MOBA) es muy obvio que tiempos pasados fueron mejores. Pero no es menos cierto que en el mundo del PC hay comunidades relativamente pequeñas pero con la suficiente vitalidad para mantener vivo un producto durante mucho tiempo y, en muchos casos, juegos con mucha menor calidad que este Dawn of War 3. En conjunto, Warhammer 40,000: Dawn of War III es un competente exponente de estrategia que brilla por cuenta y personalidad propia. Aunque no intenta reinventar la rueda, se esfuerza por labrar su propio sistema de juego, pero es lamentable que olvide sus raíces. Uno con un ritmo furioso que recuerda a los RTS clásicos de hace 20 años y que, a pesar de que exhibe cierta simplicidad en algunos aspectos, oculta en realidad la compleja necesidad de dominar todos y cada uno de los entresijos de cada facción para salir airoso de una partida. Relic ha encontrado un punto de equilibrio más que interesante de cara al futuro de la franquicia. Sin embargo, esta aventura de Gabriel Angelos no hace más que dejarnos un sabor agridulce en la boca y de mostrarnos lo que podría ser pero no es todavía. Relic tiene un largo recorrido por delante con Dawn of War 3 y este es un primer paso sólido. Mit Dawn of War 3 hat Relic Entertainment endlich wieder sehr gute klassische Echtzeit-Strategie entwickelt. Mir gefällt der Einzelspieler-Modus besser als der Multiplayer, da der Umfang dort mit acht Karten und nur einem Spielmodus etwas dürftig ist. Doch das Wichtigste zuerst: Die Mikromanagement-lastigen Schlachten mit den Helden, den normalen Einheiten sowie den konfigurierbaren Doktrinen sind richtig gut und werden brachial inszeniert. Und tatsächlich wird dieses Spiel wohl nicht jedem gefallen - aber es ist genau meine Art von RTS geworden! Spektakulär, ohne anspruchslos zu sein, und spannend, ohne in Stress auszuarten. Seine coolen Helden und massiven Supereinheiten an der Spitze von riesigen Armeen sind beste Zutaten für die eindrucksvollen und doch fordernden Schlachten, die ich an diesem Genre so liebe. Dawn of War 3 hat spektakuläre, fordernde und unterhaltsame Momente – es hat aber auch Momente, in denen es die Erwartungen unterläuft, die Fans von Dawn of War 1 oder eben Dawn of War 2 an ein Dawn of War 3 haben. Ist es deswegen ein schlechteres Spiel? Natürlich nicht. Nicht, weil es etwas Neues probiert, nur weil nicht alles immer so zusammenpassen will, wie Relic sich das vielleicht vorgestellt hat. Warhammer 40.000 : Dawn of War 3 se hisse à la hauteur de ses illustres prédécesseurs sans jamais parvenir à atteindre le panthéon des jeux de stratégie. 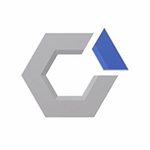 Malgré une campagne solo haletante et une formule du STR remise au goût de jour, le titre du studio Relic Entertainment pêche par un manque de dynamisme, de contenu et d'ambition en multijoueur. Dawn of War III est ce l'on pourrait qualifier de beau mariage entre une technique réussie et un gameplay grisant. Plaisir de chaque instant, on retrouve tous les éléments nécessaires à un bon jeu de stratégie et même plus si on souligne les différents apports techniques. Bluffant visuellement, DoW III est un véritable festival pyrotechnique et il est bien difficile de lui reprocher quoique que ce soit de ce coté-là. Plus beau que jamais et toujours aussi stratégique, il arrive à rester fidèle à ses prédécesseurs, tout en innovant légèrement. Ce changement dans la continuité est un gage de réussite, et les fans de Warhammer 40,000 n'ont donc aucune raison de faire la fine bouche. Après les décevants Eternal Crusade et Space Hulk : Death Wing, ça fait du bien ! En somme, une vision plus moderne et visuelle de la stratégie, qui répond au besoin d’évolution du genre, tout du moins pour draguer de nouveaux joueurs. Alors oui, on pourra trouver les héros un poil pétés, le rendu graphique agréable mais pas forcément super fidèle à l’esprit Warhammer, ou encore une philosophie de jeu qui tranche trop par rapport au passé. Immaginate di aver comprato il puzzle di un quadro famoso. La Notte Stellata di Van Gogh, per dire. Ci lavorate per qualche sera, poi lo completate e vi mettete a guardarlo da lontano. Bello, non si discute, ma... c'è qualcosa che non va. Difficile dire cosa: magari i pezzi non si incastrano alla perfezione, o forse è solo una vostra illusione ottica. Ovvio, alla fine lo appendete lo stesso, ma un po' di insoddisfazione resta. Attualmente si tratta di una (volutamente?) incompiuta, una sorta di piattaforma che, se verrà sviluppata con DLC ed espansioni adeguati, saprà garantire quella varietà di cui adesso si sente la mancanza. Fino a quel momento non è facile consigliarla a cuor leggero, soprattutto considerando l'importante prezzo di lancio. Chi saprà accontentarsi di quello che offre (attualmente) senza rivangare nei tempi che furono troverà in Dawn of War III un titolo graficamente appagante, con un'ottima campagna in single player. Warhammer 40K: Dawn of War 3 – яркая игра, переполненная требовательными к микроменеджменту сражениями. Ее одиночная кампания продолжительна и непроста, но не особенно впечатляюща, так как авторы слишком редко используют умения трех фракций действительно необычным образом. В сетевом режиме игра еще требовательнее. И пугающе хаотична. Но из-за того, что тут всего один режим и очень мало карт, мультиплеер кажется слишком ограниченным. Yavaş yavaş son sözlere gelecek olursak, Dawn of War III, RTS ile MOBA'yı birleştirerek, günümüz MOBA'cıların ilgisini çekmeyi başarabilir, ancak içeriğin göz ardı edilemeyecek derecede kısıtlı olması ve yine oyuncuyu sağılabilecek bir konuma getiren klasik DLC politikası ile benden ortalama ile geçer not aldı. Eğer Relic gelecek güncellemeler ile oyunun içeriğini ÜCRETSİZ olarak geliştirirse, biz de notumuzu güncelleriz. Herkese iyi oyunlar. Laat je niet afschrikken door de moeilijkheidsgraad. Het is onderdeel van een indrukwekkende en overweldigende spelervaring. Ik hoop dat je het niet erg vindt om vaak te verliezen, want de Grimdark is nou eenmaal ongezellig. Dawn of War 3 zit goed in elkaar en de gameplay speelt heerlijk en soepel weg. Ondanks de kleine minpuntjes, zorgt de game voor een verslavend gevoel en wil je blijven spelen om je tegenstanders te verslaan. De game zal ervoor zorgen dat de gamers flink wat minder uren slaap pakken en als een spel dat met je doet, is het al geslaagd. Dawn of War 3 doet dat en blaast het RTS-genre weer nieuw leven in. Z Dawn of War III spędziłem ponad 20 godzin, z czego niecałe 15 zajęło mi zaliczenie niezłej kampanii fabularnej, a resztę poświęciłem na starcia sieciowe. Choć w RTS-ach szczególnie cenię sobie mechanikę, wolę skupić się na taktyce, a nie mikrozarządzaniu jednostkami. Z serią Dawn of War znam się nie od dzisiaj – wyżej stawiałem drugą odsłonę niż pierwszą. För att summera är ändå Warhammer 40,000: Dawn of War 3 en dröm för Warhammer 40K-fansen. Här får vi den onda och grymma världen med alla dess underbara personligheter, vilket andra Warhammer-spel för ofta misslyckats med att förmedla. Spelkontrollen är bra, kampanjen suverän och multiplayer lovar gott. Och självfallet kommer spelet byggas ut. Kanske är det lite för tryggt och säkert, men fortfarande väldigt bra.